100 Acres. 3 Rooms. Book yours today. 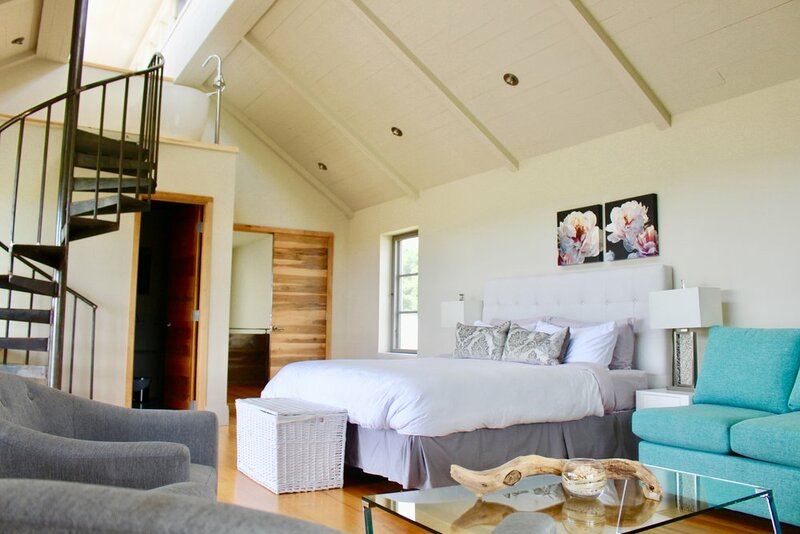 Nestled in the North West wing of the house, this beautiful room is perfect for a romantic getaway. Morning sunlight flows into the spacious tiled bathroom, and French doors open into a pollinator's garden with private seating area. Overlook the front meadow and let the cool wind lull you to sleep in our comfortable beds. Looking out onto the South East garden is the Sirocco, warm wind of the Mediterranean. This luxurious and elegantly decorated room is perfect for a relaxing getaway with plenty of additional space for friends and family. Discover the aromatic herb garden outside your doors and enjoy the serenity of the oversized shower and bathtub. Go up into the newly renovated belvedere and survey your meadow and woods. Relax in our largest suite from the comfort of your King bed and custom sectional and get ready in our unique concrete and wood bathroom. Explore the multi-levelled windowed loft and walk out onto your private balcony to feel the soft wind of the Zephyr. 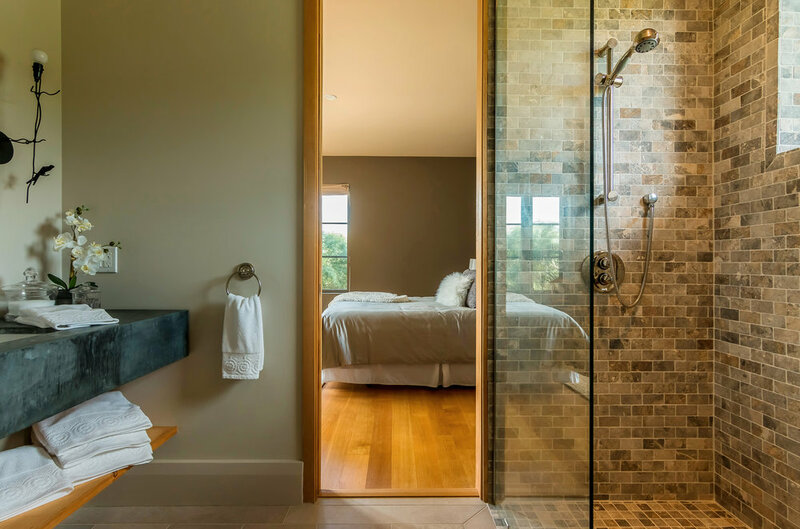 Set in your own private wing of the farmhouse, the Mistral offers serenity and solitude. Complete with a full ensuite and private garden the Mistral is an excellent choice for a couple's getaway. Queen bed, sleeps 2-4, breakfast included. Fossil-studded limestone tiles the bathroom floor while tumbled marble accents the oversized shower and standalone tub. Sunlit glass paned doors open into the gardens adorned with trickling water features. Sirocco is the ideal place to end your days' adventures in the county. King bed, sleeps 2-4, breakfast included. Our newly renovated multi-level Zephyr suite is perfect for an elegant getaway. Relax in the soaker tub on top of the uniquely designed concrete and barn-board bathroom, with access into the windowed belvedere loft. Includes a personal balcony with custom-designed furniture overlooking the European garden. King bed and Queen sleeper sectional, sleeps 2-6, breakfast included. Included with your stay is our full gourmet breakfast served in the elegant farmhouse kitchen. Seasonal and local ingredients are included in a sumptuous spread of fruit, eggs, local sausage and homemade bread and preserves. Or try our lighter option of delicious organic granola, fruit and local honey.